I usually make my Whole Grain Sourdough. 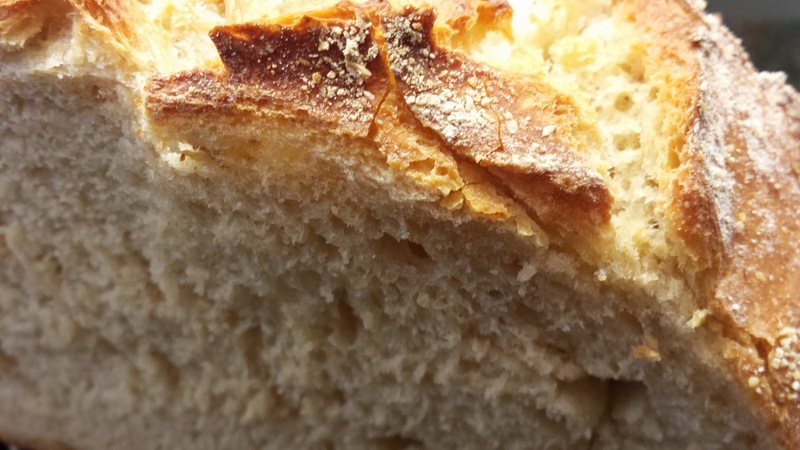 But pasta still calls for a white sourdough. 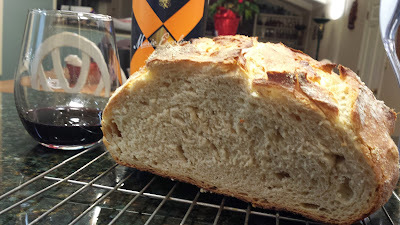 My old recipe was OK - I tweaked the sourdough bread recipe from one of my cookbooks to come up with a bread we liked. Mainly I think I just didn't use packaged yeast, because why would I want to use packaged yeast in my sourdough bread? That kind of defeats the purpose, doesn't it? And I let it raise longer, to develop the sourdough flavor. Well, this time I tweaked it a bit more, and I think it turned out perfect! in large bowl, mix starter with 1 cup lukewarm water, then stir in 1-1/2 cups unbleached flour. The flavor is so good, and the texture is perfect. The crust is that perfect chewy crust I have been trying to achieve since the beginning of my sourdough adventure. What did I do differently? I omitted the sugar, and I baked it in a covered pan, the same way I bake the Whole Grain Sourdough. Can it really be that simple? Maybe. It certainly turned out well this time. 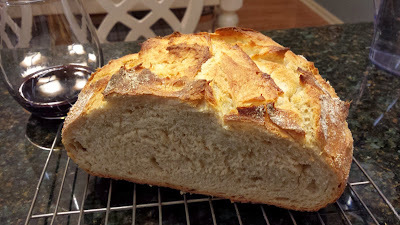 I will definitely be making this bread again.